The ex-im cannabis map of Europe has been promising to get interesting for some time. And in March, it’s long promised potential just bloomed a little more as Frankfurt-based Farmako announced a first-of-its kind import deal of 50 tonnes of medical cannabis (and from Poland no less) over the next four years. Farmako was just founded in September 2018. They began distribution to German pharmacies this month. They also have an office in London and cross-European aspirations. While Farmako is the first to announce such a unique cross-border production and distribution agreement, however, they are far from the only ones planning the same. In fact at least Tilray is expected to announce that their newly-minted Portuguese crop is being processed into oil bound for German pharmacies any day now. It is also not unrealistic to expect that (at least) Canopy Growth, of the big Canadian producers at least, will soon announce the same situation for their crops in countries across the continent, starting with Spain. Outside Germany of course, this kind of entrepreneurial endeavour is already underway. In the UK, a new import group just announced the first bulk shipment of Dutch medical cannabis into the country, distributed directly to over 1,000 pharmacies nationwide. There still are a couple of jaw-dropping things to consider about this new German development. Namely, that the amount of just this deal over the next four years between two (relatively new, non-Canadian) companies is approximately five times the amount currently called for in the still pending domestic cultivation bid in Germany. The second, of course, is that the Polish company on the other side of the border and this ex-im deal, PharmaCann Polska, is a uniquely positioned conglomeration of individuals with apparently Canadian and Israeli market experience. This means that they are already positioned to access the biggest two production markets in the world and are certain to be looking to exploit other Eastern European connections (at minimum). If not ones further afield than that. One thing is absolutely certain far beyond the particulars of this one deal. The current import limitations from Canada and the Netherlands into the German market appear to be a thing of the past. And the cross-border trade for medical cannabis is now clearly entering a new phase. Farmako clearly intends to go after the existing Canadians in the market on price, which means both Canopy Growth and Tilray. But it also means Wayland, at this point is the largest domestic certified producer (albeit with Canadian roots and partners) and an entire licensed facility in eastern Germany ready to go. That is not an insignificant threat and sets up another looming question: Which will actually be cheaper in the long run? Domestically grown German cannabis, or that imported from adjacent countries with lower paying labor markets? This announcement also means that the “cannabis shortage” in the country is officially over as of this spring. And that won’t just come from Farmako but others already in the market and those angling now to get in via other creative means. Regardless, what that will do to overall sales, patient numbers and overall speed is another matter. There are two big issues that this development does not solve of course. The first is the ability of patients to find doctors willing to prescribe the drug, and further to make sure they spend the time filling out the paperwork and negotiating with the patient’s insurer, to make sure that patients can actually get it. Starting with affording medical cannabis in the first place. Most patients on what is known as “statutory” health insurance (90% of the country) cannot afford the out of pocket cost at pharmacies without insurance approvals. Once they get them, they pay up to $12 for a month’s supply (in the case of flower, about an ounce). The second issue is that it is currently unclear, mostly due to the lack of granularity provided by the country’s statutory health insurers, what is actually being prescribed for which kind of condition and to whom. 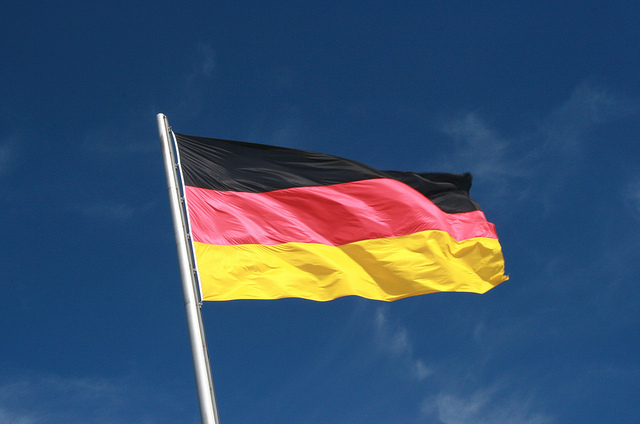 Earlier this month, new information was made available about the overall growth of coverage of medical cannabis in Germany. While the total spending, and rough breakdown of flowers vs. product was provided, it is unclear beyond that, where this is going. There were also apparently just over 46,000 patients in Germany as of December 2018. And this is a growth trend that while clearly on an upward trajectory for the last three quarters is slow and steady as she goes. The sudden uptick in the market seen in the second quarter of last year appears to be an anomaly. Further, understanding market price points is also hard. Flos and prepared pharmaceuticals such as Sativex are highly expensive right now. In the case of the Canadian firms, their medical exports are being sold at about twice the price of their domestic recreational sales points. Look for this to change dramatically as real competition heats up across Europe (and from more distributors than just this Frankfurt upstart). What the news in other words about Farmako really signifies is that the price barriers in the medical market are about to come down at the point of sale- and hopefully in the short term, patients will not have to rely on the approval of their insurance companies to be able to access the drug because they will be able to afford it themselves. No matter what happens with the bid. Although this too will also serve to lower prices. The great medical normalization race for medical cannabis in Europe is now officially “on.” And that is good news not only for patients, but of course, the industry.